Over the years, indoor cycling has experienced an evolution that Midtown has embraced in an effort to bring the latest and greatest to our members. What began as a solution for cyclists to maintain training in the winter months, has become a year-round staple on group exercise schedules everywhere with the Soulcycles and Flywheels of the world paving the way. Now it’s Midtown’s turn to make waves in the industry with our newest cycle programming, PWR. If you were a fan of our Cycle Journey class and traditional cycling, it’s time to embrace something new and improved with this 60-minute, technical ride that builds endurance, strength, and speed. PWR is structured to emulate an outdoor ride with a variety of terrain from peaks to straightaways to curves and more. This program is more athletic by design and uses various metrics to help get you reach the goal of each ride, measure your effort, and hold you accountable. While this class features a variety of beats to bike to, the intensity is driven by power/watts and RPM ranges provided by the instructor. For example, if you’re climbing a peak, your instructor may say to aim for 60-65 RPMs. This gives riders a better understanding of how much load to apply. 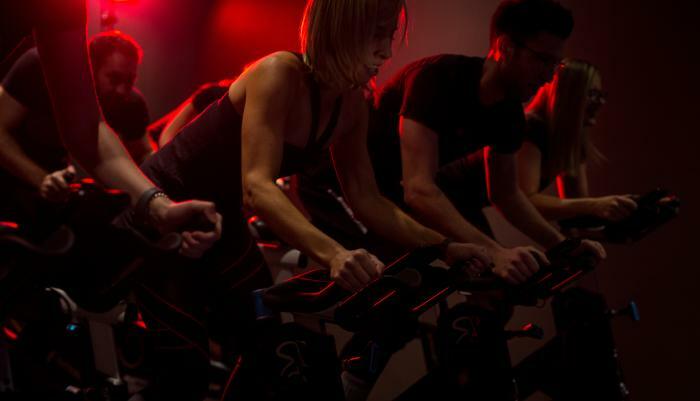 What makes our PWR program truly special is the collaborative effort between Midtown National Programming Director Richard Earney, some of Midtown's top teachers, and Spinning® International Master Instructor and former Professional Cyclist Josh Taylor. Together they worked to create a program that truly appeals to both the old school cyclist and the new wave of cycle-for-fitness enthusiasts, and we think they really nailed it. While it’s out with Cycle Journey, thankfully Midtown has replaced it with something so much better. Find your cadence with our new RIDE programming starting June 9. More of a non-traditional cyclist? Learn about our VIBE class. Rachel Mazanec is a Brand Strategy Manager at Midtown Athletic Clubs. A 10+ year competitive swimmer with an affinity for writing, Rachel’s voice sings to the tune of Midtown’s weekly fitness and health blog. When not writing or readjusting her goggles, you can find Rachel along the lakefront or at one of Chicago’s many museums.